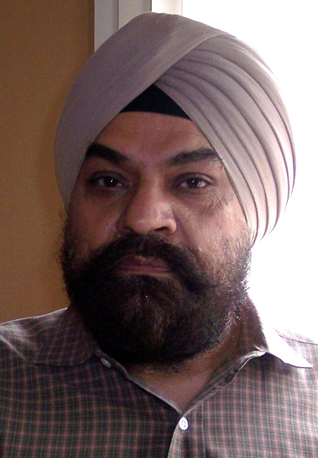 Ravinder currently lives in Columbus, Ohio, U.S.A. and has an abiding interest in expressing Gurbani in the English idiom. He is the Founder and Convenor of our weekly Talking Stick Colloquium. By “re-telling” these saakhis in simple, “child-friendly” language - English, in this case - and by presenting them in contemporary idiom, Inni Kaur brings to life the miracle that Guru Nanak was. The Sikh ideal is that of a jeevan mukt or one who is liberated while alive - in contrast to the traditional view that mukti is attainable only in death. How was Guru Nanak able to engage the simple labourer and the wealthy trader, the pauper and the Emperor, the highly sophisticated orthodoxy and the yogic practitioner? It is also called “out of the box” thinking, implying that our habits and conditioning harden the patterns of what we see. Nitnem weaves the sacred into the fabric of daily life and serves as a reminder that we live on dual planes simultaneously - the sacred and the profane, the secular and the spiritual. The idea that runs through Guru Nanak's salok is one of self-transcendence, of exceeding oneself, made possible only through the transformative presence of the Guru. Says a verse in gurbani: The world is a stage, the sky a giant canopy, sun and moon the arc lights. The mind, besotted with maya, dances to the tune that the body makes (with its senses). Guru Arjan refers to family relationships - their structure and interactions - as they existed then, and to a large measure still exist in the joint-family system. He appears as a King riding his blue charger, a royal plume adorning his turban, a sword on his side and a hawk perched on one hand - all symbols of sovereignty that he gave his Sikhs credit for.